S O L D Completed 5-24. 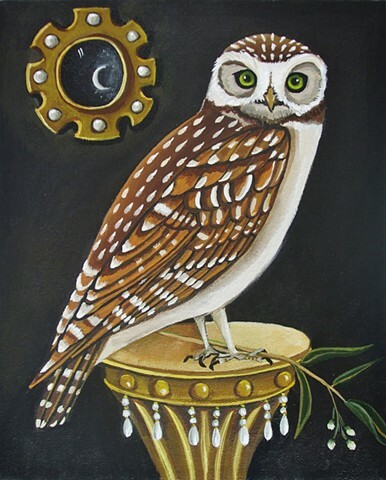 I continue to be fascinated by owls and love painting them with a twist. This piece is 8x10 painted with acrylics on stretched canvas with painted sides. Thanks for stopping by.